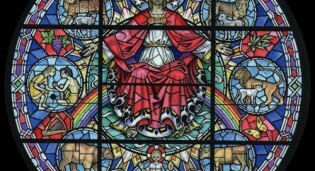 Wonderful example of new stained glass for a church, including an exceptional rose window depicting Christ the King, 12 feet in diameter. 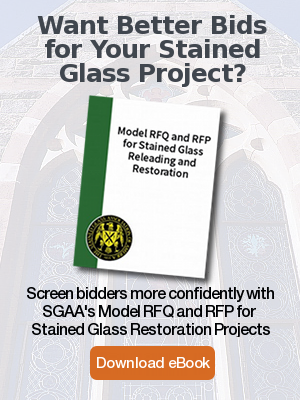 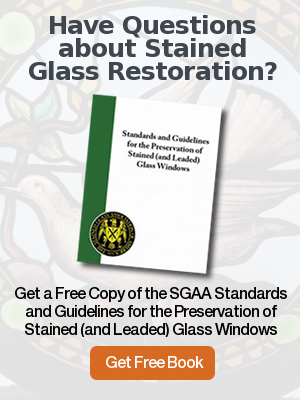 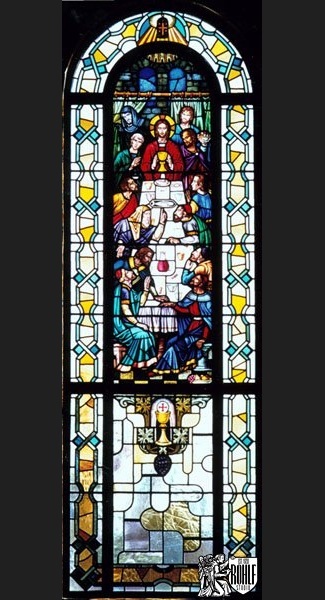 Created and installed by Rohlf’s Stained and Leaded Glass Studio for Bluff Park United Methodist Church in Birmingham, AL. 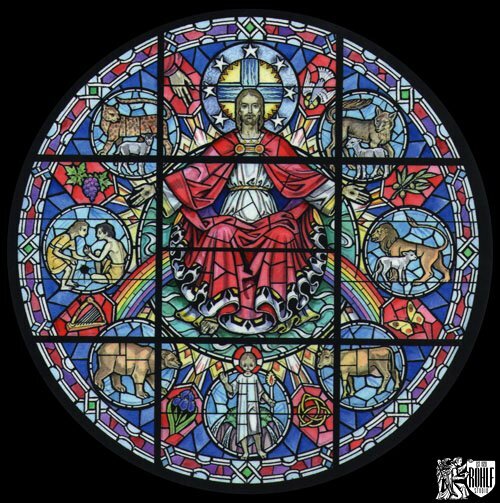 Colored rendering of an exceptional rose window depicting Christ the King, that is 12 feet in diameter for Bluff Park United Methodist Church in Birmingham, AL. 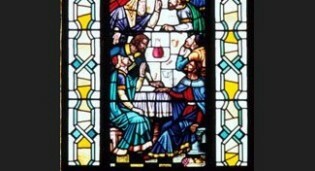 One of 12 nave windows created by Frederick Cole depicting the Last Supper at Bluff Park United Methodist Church in Birmingham, AL.